Yumna was super excited to adopt her very first dog and instantly fell in love with this tiny pup! She couldn’t wait to bring him home and while she expected him to grow, she never realized what he would grow into. After a few months, her puppy’s transformation left her stunned. 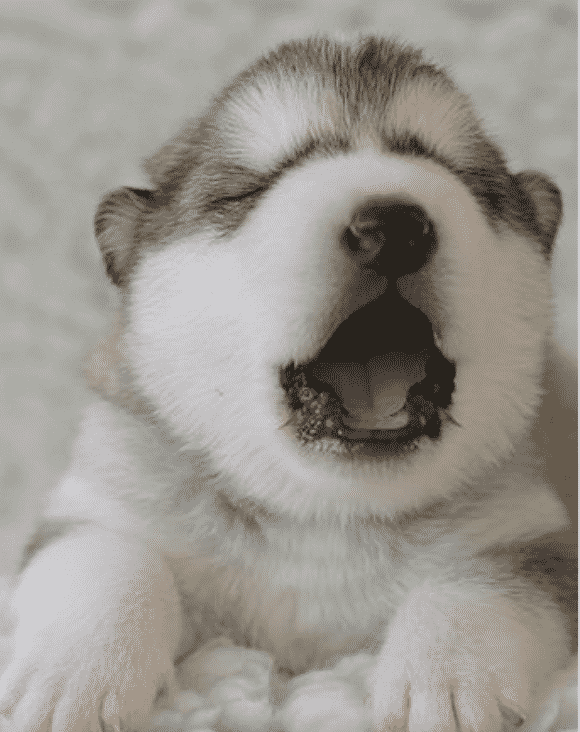 You’ll be shocked at how different the pup looks in #13! 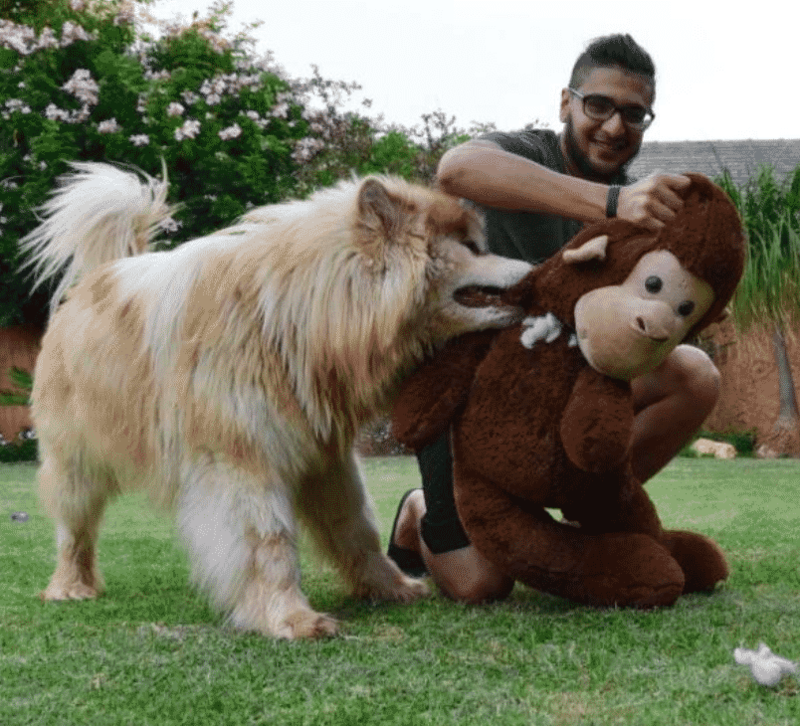 The South African woman, Yumna, had her heart set on adopting a puppy. She knew that she wanted a new best friend in her life and so she set out to find the perfect pup. Finally, she stumbled across her soon-to-be pal! Tydus was incredibly small, fluffy, and downright loveable. 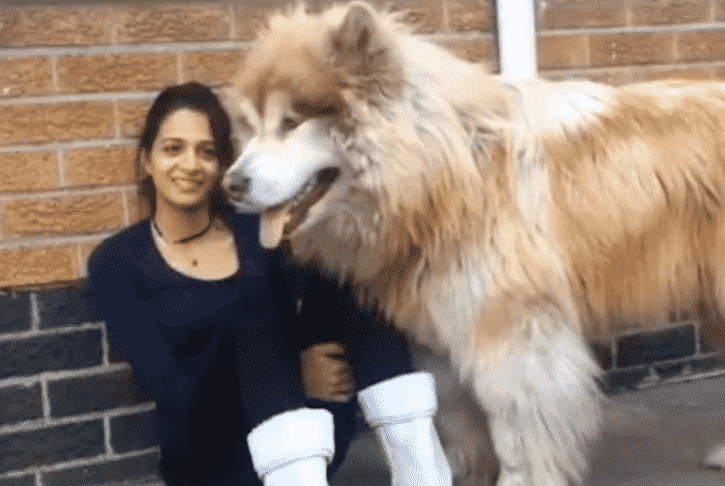 He happened to be an Alaskan malamute and while Yumna was expecting him to grow slightly with age, she never expected just how BIG he would grow. 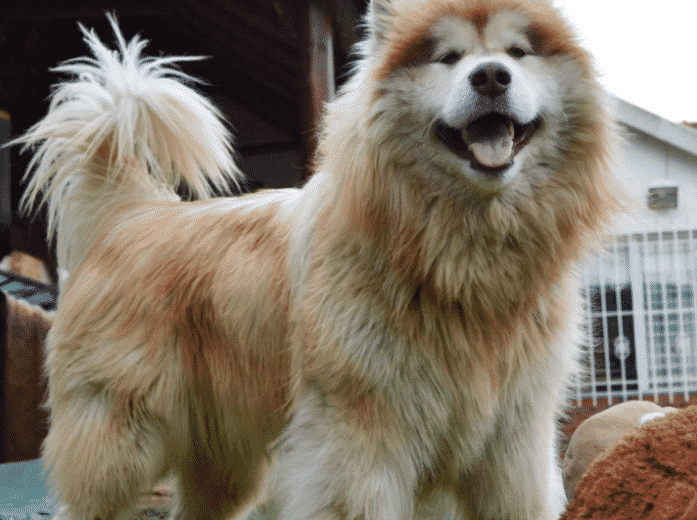 After all, Alaskan Malamutes don’t typically get that big with age. 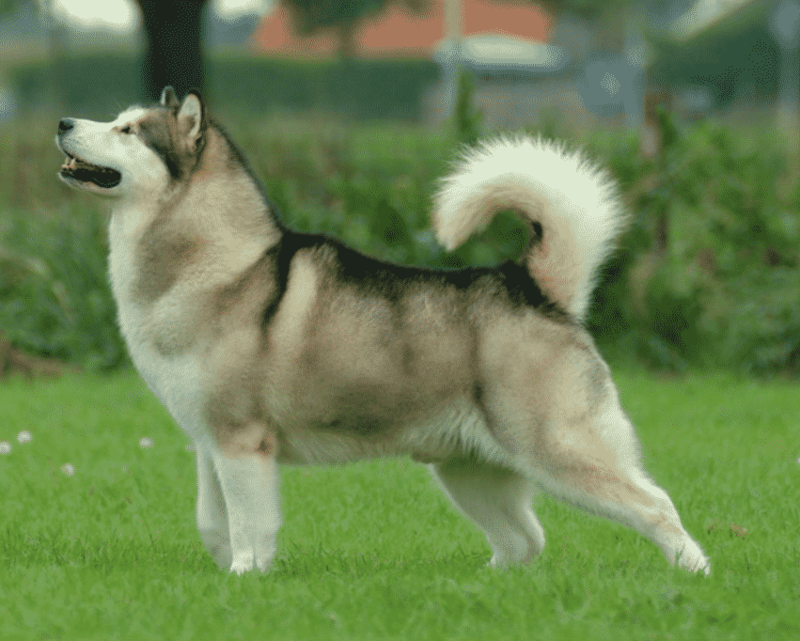 Alaskan Malamute’s are an affectionate and loyal breed of dog that makes for great sled dogs. In terms of size, many of those only reach 95 lbs at most and those are typically males. 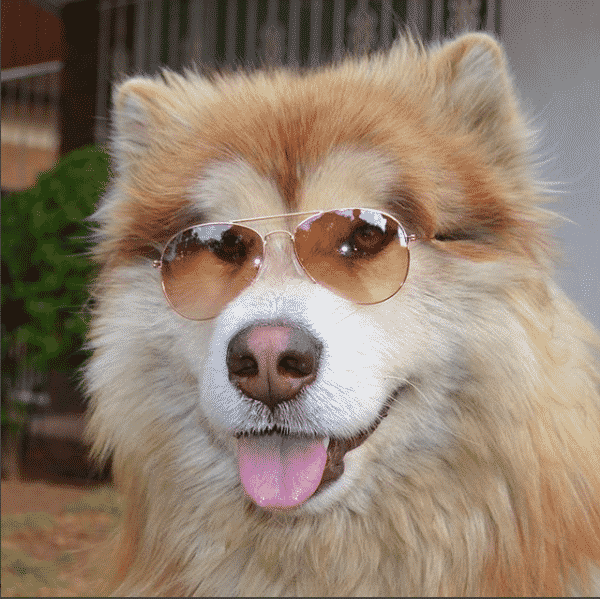 Most Alaskan Malamutes are between 75 – 85 lbs. So no one expected the transformation that little Tydus would undergo! So Tydus began to get bigger as he got older, but at first, Yumna thought nothing of it. After all she expected that her little pup would grow. But, then Tydus began to get bigger and bigger and bigger. So how big did he get?! Tydus continued to grow and grow! In fact, he got so big that he reached a gigantic 120 pounds. 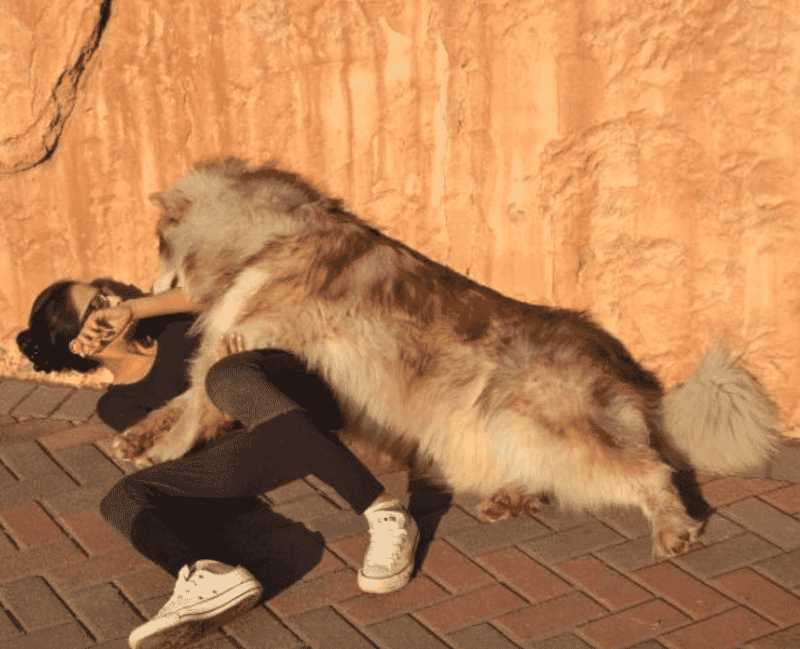 That is a huge size compared to the typical Alaskan malamute. Tydus looks more like he belongs in the woods with a bunch of bears! You’ll be taken aback by the next photo of him! Here’s a close-up shot of just how big and fluffy Tydus is! Can you believe how big he got when you compare it to the photo of him as a baby? This is only Tydus at 2 ½ years old! 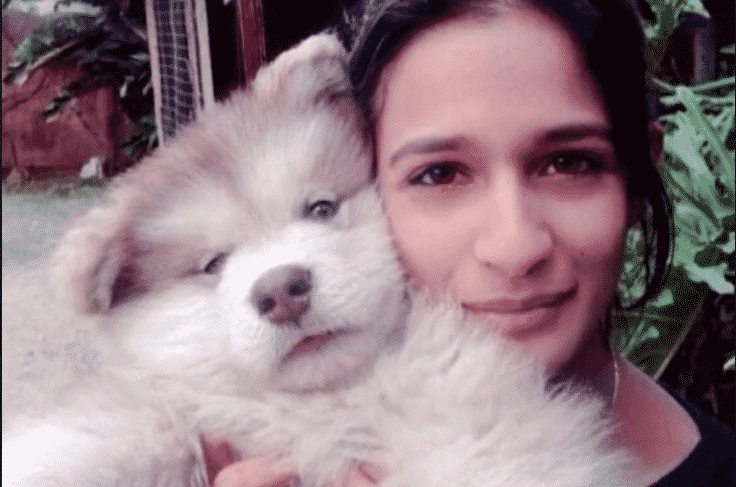 You won’t believe what Yumna had to say about her huge, fluffy baby! 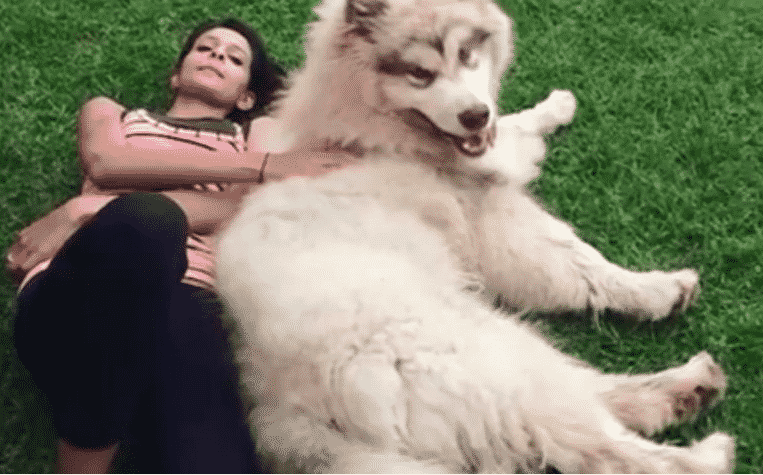 Yumna loves her gigantic pup and she loves to cuddle up with him. 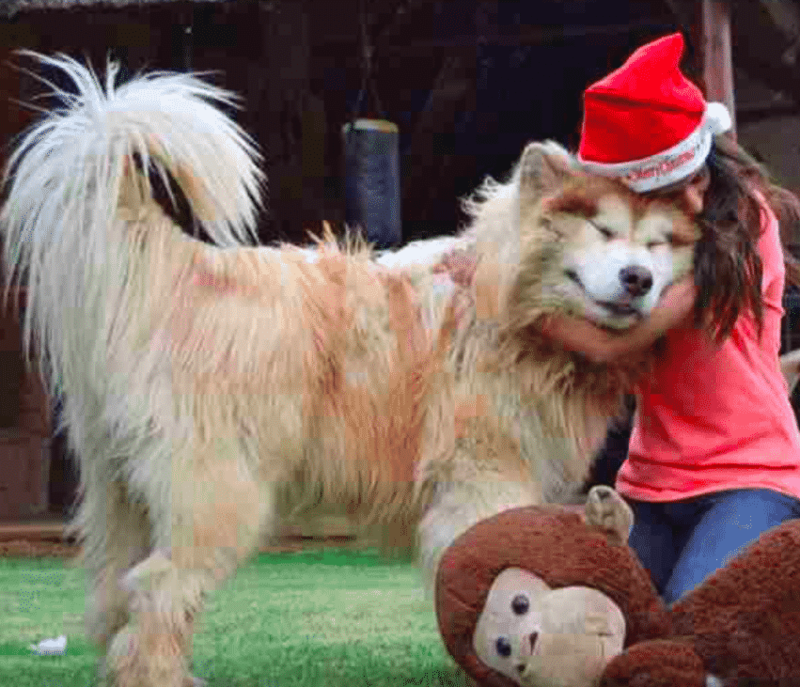 All that fluff definitely makes for a comfy cuddle buddy. Still, despite his size you’ll be surprised by how Tydus tends to behave himself! Check out the next photo for all the details. Despite his enormous size and his resemblance to a big bear, Tydus is a serious sweetheart. In fact, he often behaves just like a little dog would. He will often climb into Yumna’s lap, just like he did when he was half his current size, and waits for attention to come his way. So will Tydus get any bigger?! As previously mentioned, Tydus is a whopping 120 pounds at only 2 ½ years old. So will he continue to get bigger? Yumna doesn’t think so. She thinks Tydus is done growing and that a lot of his large appearance has to do with his enormous fluff. So how do people on the streets react to the fluff ball? 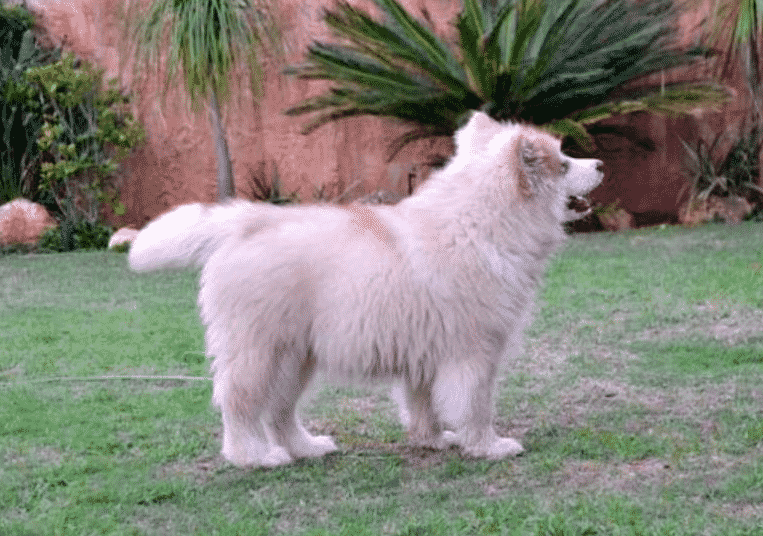 “His fluffiness is the first thing that catches attention, then his size. 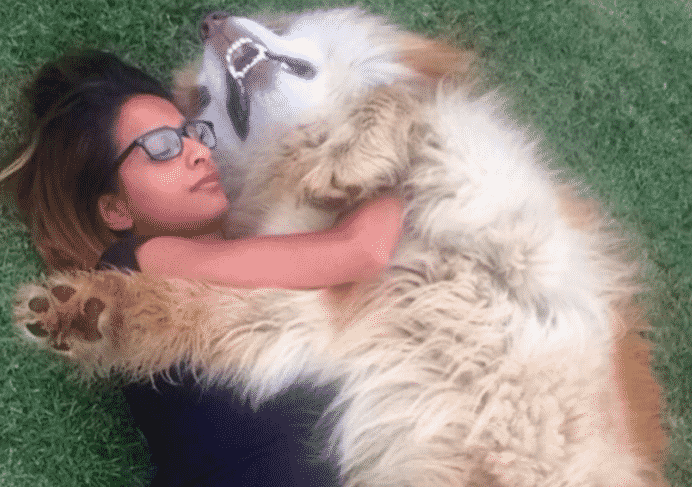 Wherever we go, even just for a walk around the block, we get stopped and asked about his size, age and most often, ‘What breed is he?’ I guess it’s not often that you see a lion-dog walking the street,” Yumna told The Dodo. With his beauty so apparent, Yumna decided to share Tydus with the world and you won’t believe how! Yumna decided to make Tydus his very own Instagram account where she uploads photos of Tydus daily. His has a huge fan base and it’s only getting larger thanks to his dazzling personality. Yumna had the most amazing things to say about him in the next photo! 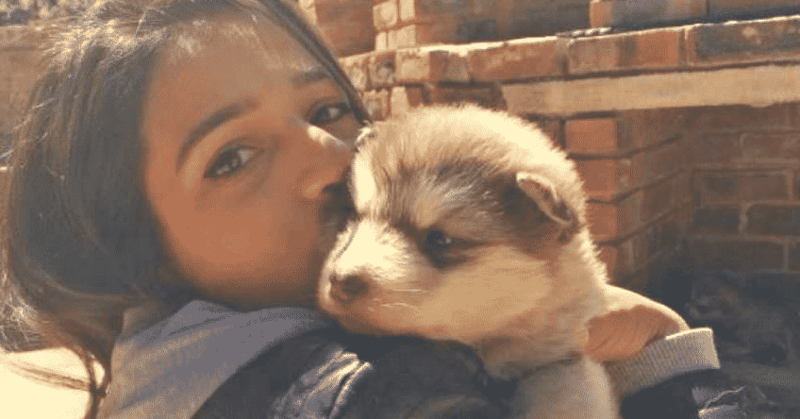 Your heart will melt when you realize just how sweet this pup is. We definitely believe her, just check out one of Tydus’s favorite activities. You’ll laugh! Tydus is a serious goofball most of the time but he also loves to play and cuddle. 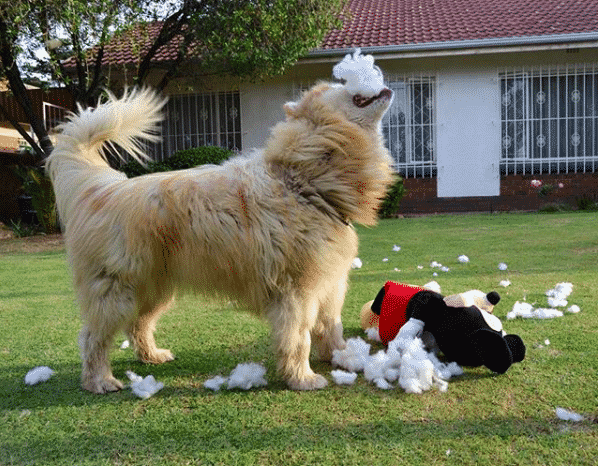 Here he is having a fun time with his stuffed monkey. But cuddling and playing aren’t the only things he loves to do! Check out his wrestling skills! Check out Tydus in a heated wrestling match with Yumna! He loves to play wrestle and he sometimes forgets just how big he is. If you’re wondering who tends to win every time, it’s always Tydus! It’s pretty hard to compete against a fluffy bear! Still not totally convinced that Tydus is huge? Check out the next slide! Look at Tydus lying down next to Yumna. Can you believe how big he is in comparison? 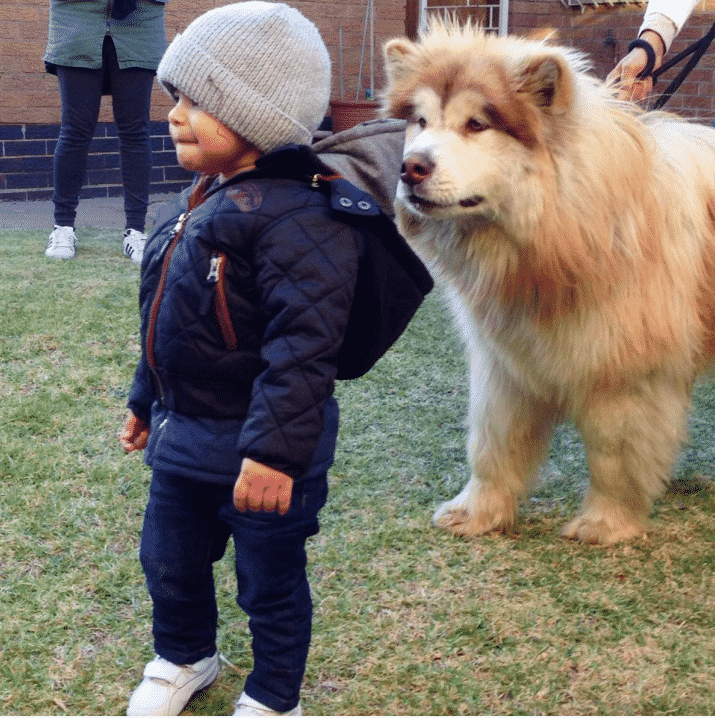 He’s bigger than she is and definitely fluffier with a real heart of gold. So, have you fallen in love with Tydus as much as we have? 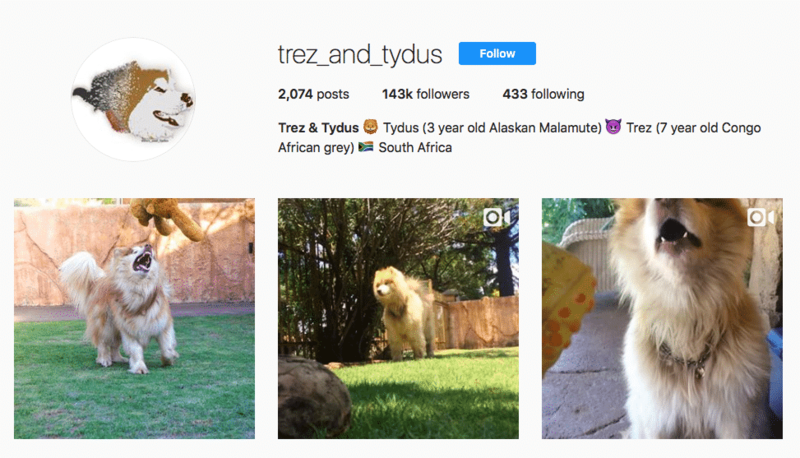 You can keep up with Tydus and his adorable shenanigans on his Instagram account. He shares it with his brother Trez, the bird. You’ll find an assortment of silly photos and funny situations where Tydus is completely goofing off. Check out him and Tydus in the next photo, you’ll be amazed by the cuteness!! Here we have Tydus playing with some of his favorite household toys. 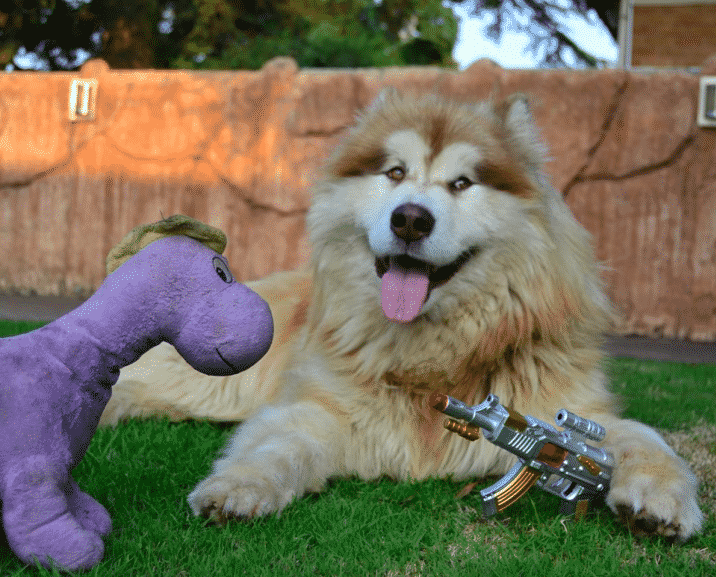 Why yes that is a stuffed dinosaur and a toy gun. It seems that Tydus has a full schedule ahead of him, risking his life to save the dinosaurs! Take a look at adorable Trez in the next photo. You’ll gush. Trez is an adorable bird that will often make a random appearance or two on the ever-growing IG page. Yuma often refers to him as “The Ruler of Everything.” As you can see, he secretly pulls all the strings in the house while Tydus remains the brute strength! 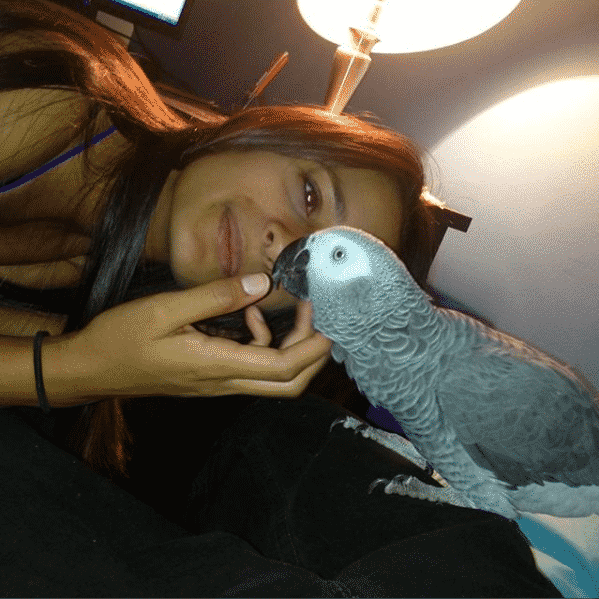 Yumna is super happy that Tydus came into her life! 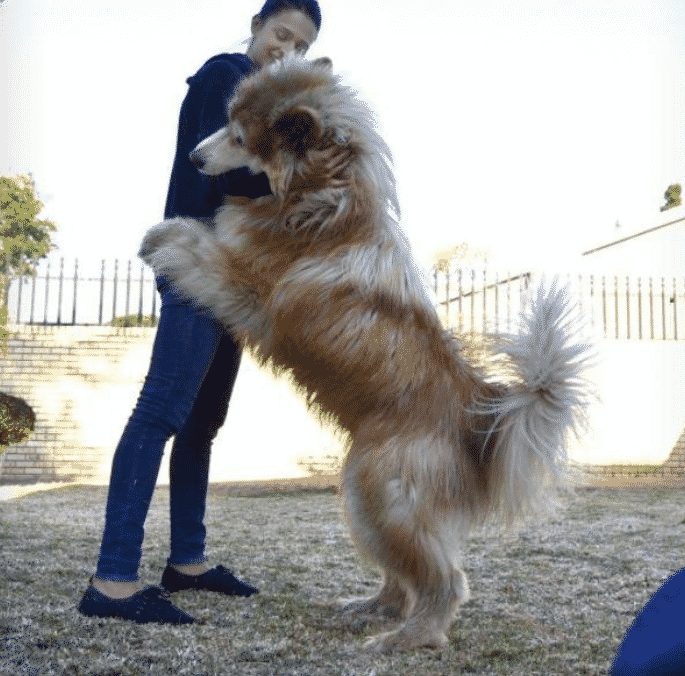 Although she never expected to be taking care of a 120-pound dog, his beautiful soul and funny ways have only added to the beauty of their relationship.